Anyone that wants to take control of their health and well-being needs to cut down on harmful substances. For most people, that means cutting down on alcohol. Although not everyone smokes, most people do enjoy a drink. And, if you believe the government’s recommendations, they enjoy it too much. Deciding to cut down on your alcohol consumption isn’t an easy thing to achieve. In fact, it is very hard. However, it is essential if you want to take your health seriously. With that in mind, you need a handful of tips that will make the process easier. Logic dictates that the easier the process, the more likely you are to hit your targets. Below you will find several tips that are proven to work. And, they all center on alcohol consumption. All that’s left to do is to try them and wait for to see the results. There is no way you will hit your targets if you don’t have any targets to begin with. You need to be able to visualize what you want to achieve, and, to do that, you need to think what it is you want to achieve. The trick is to break down your goals into bite-size chunks so that they are easier to process. 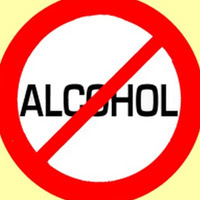 Stating that you want to give up drinking is a huge declaration. As such, it can be daunting when you think about it in some big terms. Instead, say that you want to stop drinking eventuality. In the meantime, you want to cut down to a couple of units a week. It is much easier mentally if you use this method. Cutting down step by step is a great tool because it allows you to get used to the process. Going cold turkey is something that you shouldn’t try, even if it is only for a short time. The problem with quitting all at once is that you don’t give your body time to adapt. You don’t even need to be an addict for the cravings to take hold. Anyone that has ingested alcohol for a long period will feel worse regardless of their consumption levels. When you take it step by step, you give your body a chance to acclimatize to the changes. Before long, you will be able to say with all honesty that you have cut down on alcohol because of this method. Rehab isn’t just for people that have problems with substance abuse. Sure, they might focus on that at the alcohol recovery centre of your choice. And, that is your prerogative depending on the level of your addiction. However, you can also use rehab centres for their help and expertise. There are plenty of people that use their facilities to help them cut down even if they don’t quit. The benefit of going to rehab is that they help you deal with the relationship between you and alcohol. As soon as you understand the dynamic, you can start to work through it and come out the other side. Plus, they are experts that deal with addiction or overindulgence on a daily basis. They know all the tricks of the trade to help you quit or cut down. What you must do is pick the right clinic for your needs. It is important that you don’t put yourself in the path of temptation if you want to cut down. People that continue their lives as normal are the ones that don’t make a change to their lifestyle. Why is that the case? It is the case because they carry on with the same routine that they have had for the past couple of decades. With that in mind, stay away from places where you are likely to drink. The most obvious example is the pub. No one is saying you can never go in one again, but you should avoid them until you are in a better place. You will find that this tip also helps you cut down on smoking if you have an issue with cigarettes. Do most of your friends go to the pub for fun? If they do, you will need to find ways of socialising with them outside of that environment. Alternatively, you can make new friends that have similar interests. That doesn’t mean that you never have to see your old friends ever again. It does mean that you will need to find new forms of entertainment, however. No one expects them not to drink or go to the pub because you don’t want to anymore. As a result, you need to find a compromise. Friends whose lives don’t revolve around drinking is a good place to find a compromise. You can enjoy your free time just as much without having to order a pint. It is easy to say you should just avoid the pub and alcohol from now until you are ready to drink in moderation. The hard part is turning your goals into reality. Still, it isn’t impossible if you swap drinking for something more rewarding. Lots of people that want to cut down start exercising or cooking instead of going to the pub. Although it doesn’t sound as good, it is a great way to take your mind off having a beer. You will find that the mental battle is half the war. Win that and you will be in a much better place in the future. The key to drinking in moderation is realising when you have had too many beverages. Normally, it isn’t easy to spot because you are drunk. With a limit, you can stop yourself getting to that point before it becomes a problem. However, make sure you can stop when you start. It is pointless setting a limit if you just carry on after a couple of drinks. Alcohol is bad for your health, so use these tips to help you become healthier.